Recently FMTC Dordrecht has also been certified for the NOGEPA 0.5 Basic Offshore Safety Training. 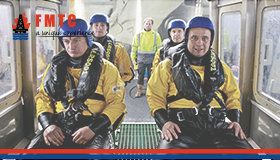 The NOGEPA 0.5 Basic Offshore Safety Introduction and Emergency Response Training is a mandatory basic training for anyone who is going to work on an offshore installation in the North Sea. At our location in Dordrecht, Rotterdam region, both NOGEPA 0.5A and NOGEPA 0.5B can be taken. Safety Introductionis a theoretical module in which the student is introduced to different types of offshore platforms, the risks and dangers, managing safety and living and working offshore. During the Helicopter Safetycourse, the student learns theory about helicopter transport and the risks involved in travelling by helicopter. 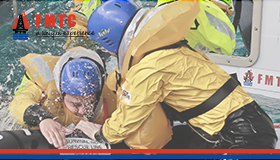 During the practical lessons the student puts the theory into practice in the HUET (Helicopter Underwater Escape Training). In the module Sea Survival & First Aidthe student learns how to survive at sea and how to provide First Aid. 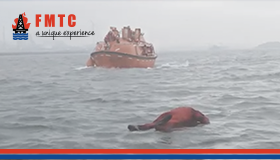 In the training pool the practice how to survive at sea is practiced in a life raft. The last module Fire Fighting & Self Rescue is about fire safety and fire fighting. During this module the student learns the theory and also applies this in practice. The student learns to extinguish different fires with different extinguishing media. The NOGEPA 0.5A Basic Offshore Safety Introduction and Emergency Response Training must be repeated every 4 years. The repetition is done with the NOGEPA 0.5B Basic Offshore Safety Introduction and Emergency Response Training. 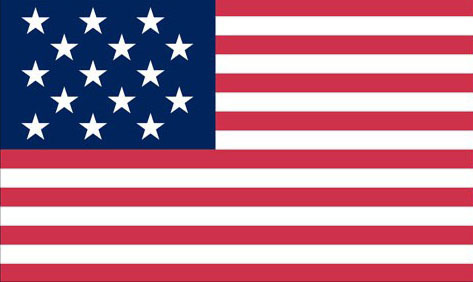 We will also be offering the OPITO BOSIET, OPITO FOET and OPITO HUET in the near future. Would you like to receive more information about the NOGEPA 0.5 courses or would you like to register for one of these two courses? 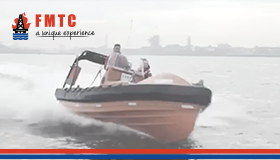 Please feel free to contact us via +31 (0)20 – 811 43 32or send an e-mail to info@fmtcsafety.com Or book NOGEPA 0.5A Basic Offshore Safety or NOGEPA 0.5B Basic Offshore Safety for the Dordrecht location directly.